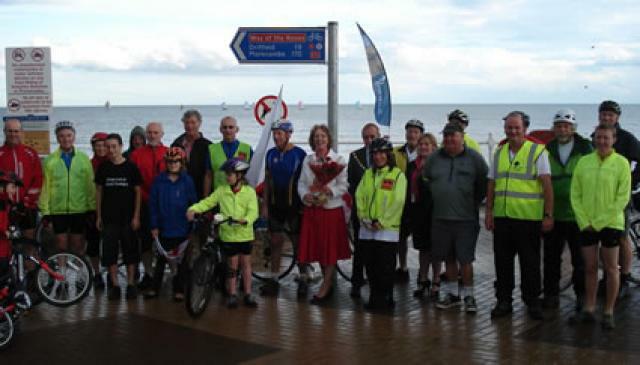 To mark the opening of the route, and help celebrate the 15th anniversary of the National Cycle Network, the whole 170 miles of the Way of the Roses route was ridden on Saturday 11th September. Sustrans patron and local lad Wayne Hemmingway rode the 35 miles from Morecambe to Settle with the sustainable transport charity’s National Cycle Network Development Manager Martin Brunt and nearly 50 other cyclists, after a send-off from the Mayor of Lancaster. 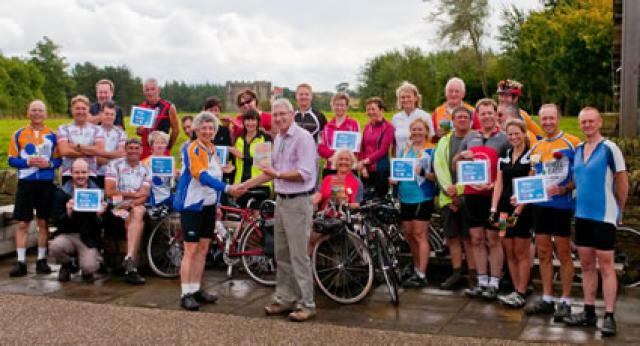 Further along the route, other cyclists called in at The National Trust’s Fountains Abbey & Studley Royal property to present the new Way of the Roses Cycle Route Map. The route comes right through this World Heritage Site. Martyn Bolt, the CTC’s Cycling Development Officer for North Yorkshire, sprinted (rather like his Jamaican namesake) the whole route in 12 hours, which sets the record for the fastest crossing so far. 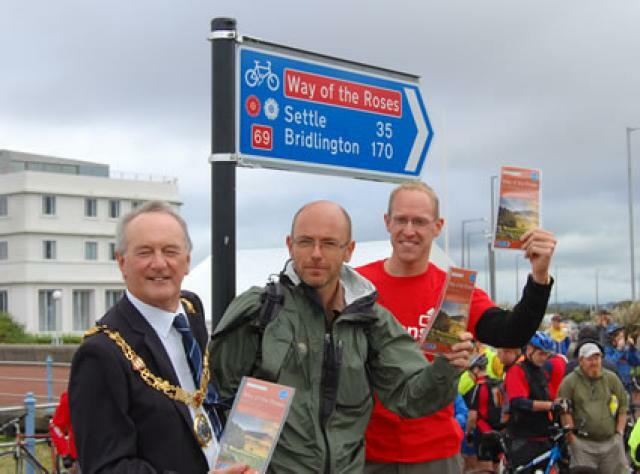 He even caught up with the group riding from York to Bridlington just before the promenade finish - helmeted Martyn is standing under the Way of the Roses sign next to the Mayor of Bridlington, who’d just been presented with some red Lancashire roses.